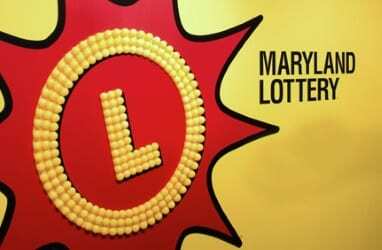 There were a couple of big, local Maryland Lottery winners this month. A White Marsh couple hoping to help a family member finance her wedding faced a difficult dilemma. The retirees also need to remove several dangerous trees surrounding their home. How could they afford to do both? The answer came when the wife scratched off a Maryland Lottery 50x the Cash game and won its $100,000 top prize. Lottery luck found the loyal scratch-off player at White Marsh BP in Baltimore. She took the couple’s Powerball tickets there to see if they had won anything. “I thought I would buy a couple of scratch-offs,” she said. After selecting several instant tickets, including the 50x the Cash game, she took them to her car to play. She won $30 on another game and had two non-winning instant tickets. The confused player took the 50x the Cash scratch-off back inside the Lottery retailer and asked the clerk for help. The clerk quietly printed out a piece of paper with the amount of the prize on it so no one else in the store knew she had a $100,000-winning scratch-off in her hand. “He kept asking me if I was OK,” she said. “Then, he handed me a pen and said, ‘I suggest you sign this ticket.’” she said. The Lottery always encourages winners to sign the back of winning tickets and scratch-offs. The lucky lady and her husband, who accompanied her to claim the prize at Lottery headquarters, are elated and overwhelmed by the $100,000 prize. “You don’t believe you win when it happens,” she said. The cash will resolve both of their pressing budget issues and allow them to help other family members, too. For selling a top-prize scratch-off in the $10 game, the lucky retailer also wins. White Marsh BP, located at 5250 Campbell Blvd. in Baltimore, will receive a $1,000 bonus from the Lottery. There was also another local winner this month. Taking notice of the numbers he sees throughout his workday, commute and downtime paid off for a Carney man in the form of a welcome Powerball prize. Opting to play his special combination in last Saturday’s drawing, he matched four numbers and the Power Ball to win $50,000. The 55-year-old, who works in construction, was on a lunch break when he discovered his Powerball win. There was something familiar about the numbers when he checked his ticket, he said, so he took a second look. This time, he underlined each number and saw five of the six digits on his ticket matched the winning numbers. The $50,000 prize is his largest win to date. The lucky player quickly called his wife to share the great news. The duo recounted details of the win to Lottery officials just a day later as he claimed his prize at Lottery headquarters. He bought his lucky $4 Powerball ticket at 7-Eleven #23703 located at 9410 Harford Road in Parkville. The happy man is the only Marylander who won a $50,000 prize in the Feb. 11 drawing and one of 25 players across the country to do so. He plans to save the prize for now and may purchase a boat in the future. The lucky player is still a jackpot chaser and hopes to claim the jackpot set at $349 million for the Saturday, Feb. 18 drawing. The cash option is $213.1 million.